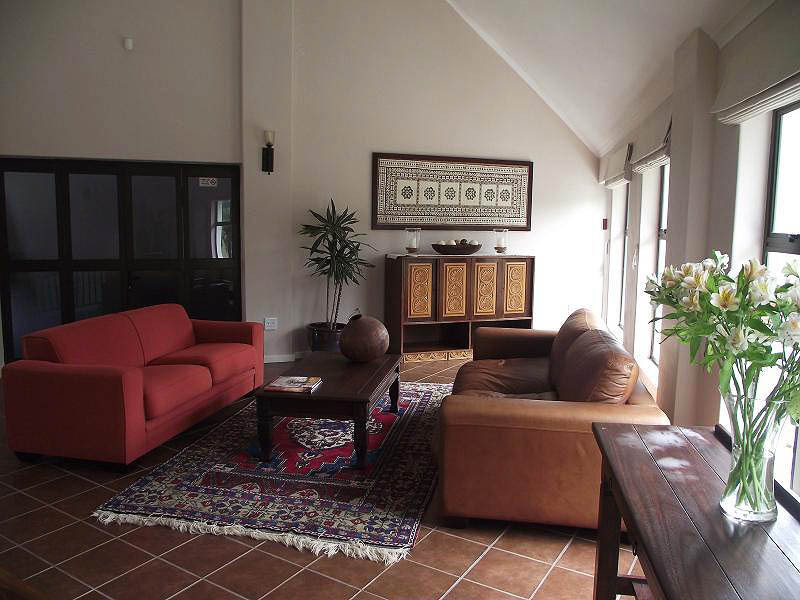 This lovely guesthouse makes you feel as though you have escaped the city. Kick off your shoes and enjoy a holiday in the country. 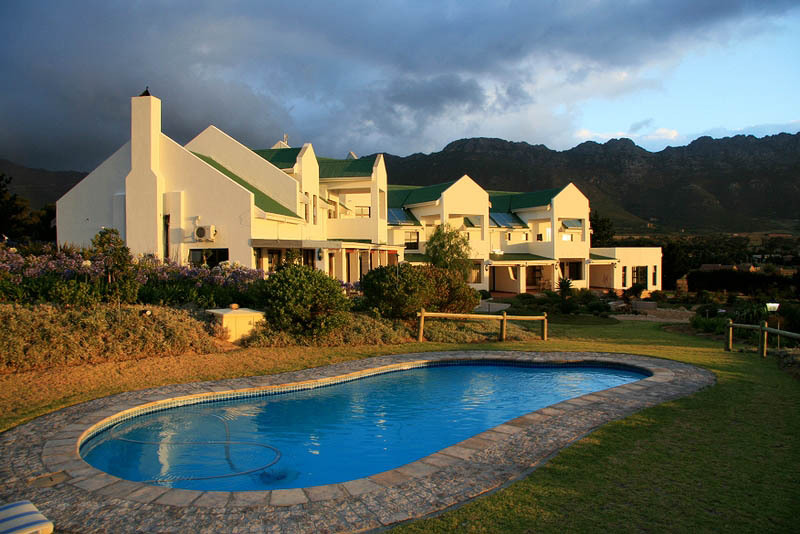 It is situated on a 3 hector small holding outside of Gordons Bay. 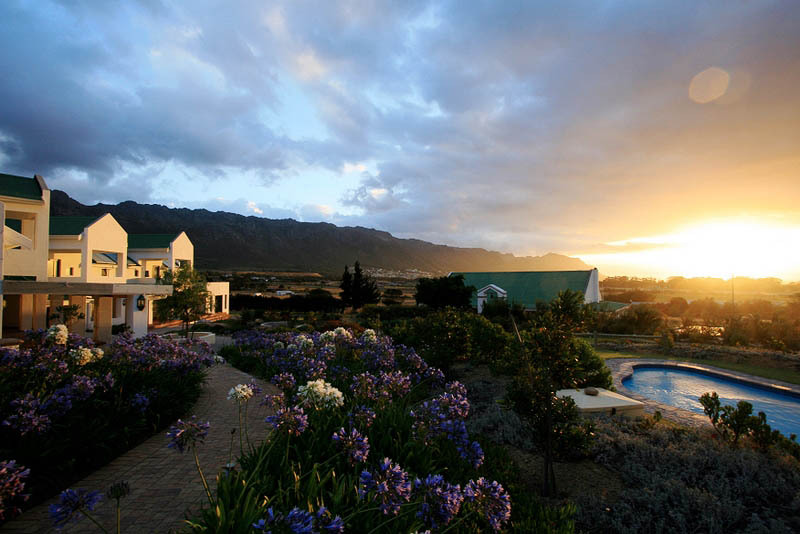 It has views of False Bay and Table Mountain in the distance. As well as the most awesome sunsets. 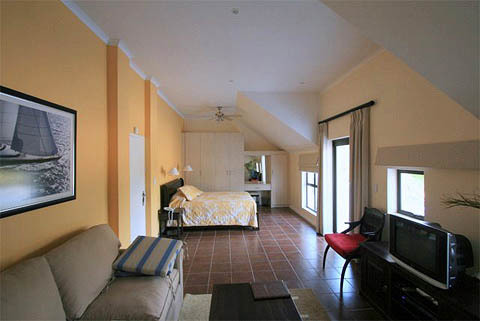 8 x luxury en suite bedrooms, each with their own private patios. 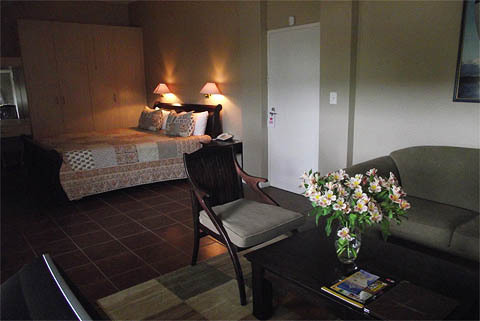 The rooms sleep 4 people – 1 x king size bed and a double sleeper couch. They have conference facilities that can accommodate 25 people. They are totally geared for conferences with a large screen TV, a DVD, Video machine, flip charts, wireless internet, fax facilities, and a multimedia projector. 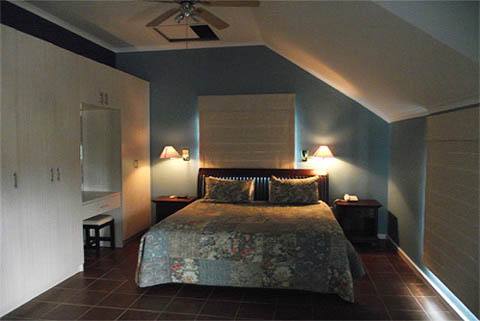 They can accommodate 6 breakaway rooms at one time. They provide tea & coffee breaks, and buffet lunch if required. They also do day conference packages. There is a fully licenced bar, a lounge area with a large screen TV, a snooker table, a swimming pool. For the fitness fanatics there is a comprehensive gymnasium kitted out with a treadmill, rowing machine, stair-excerciser, bicycle and weights. 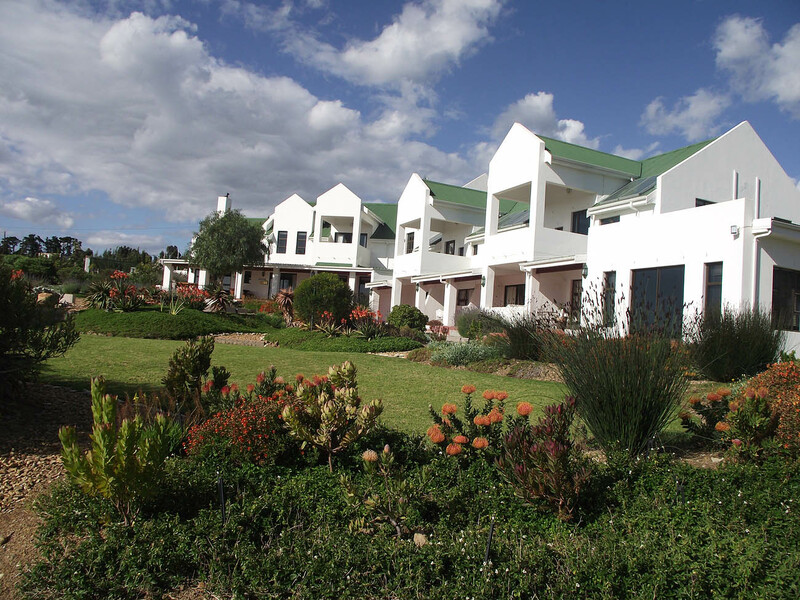 The rates quoted below are for two people sharing – Bed & Breakfast included. 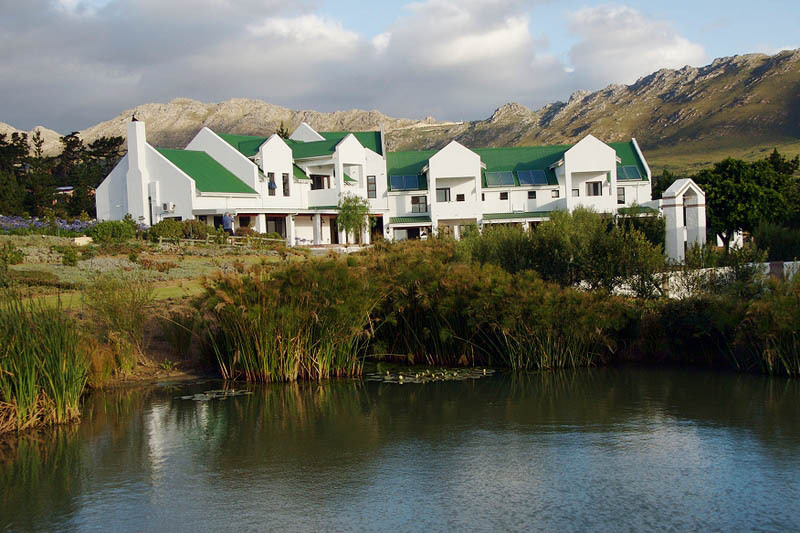 Older than 6 years R200 per person per night additional Between 2 and 6 Years old R75 per person per night.